You would be forgiven for thinking you’d mistakenly stepped inside the simmering beginnings of an art school party upon entering the venue for The Pink Panther Show. 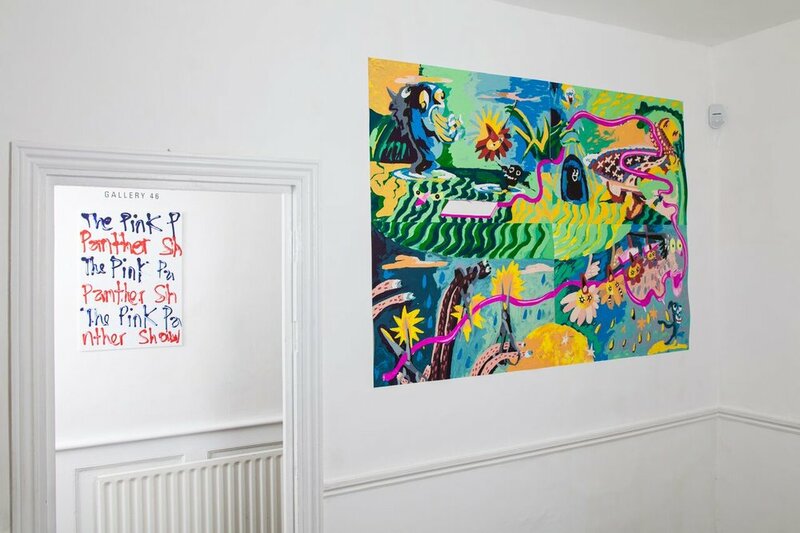 A multi-levelled, white-walled townhouse tucked away in the quiet streets of Whitechapel is the home for this exhibition, which promises a range of works as diverse as the artists who have created them. Using the historic cartoon the Pink Panther as a springboard, emerging and mid-career artists have showcased their themed pieces in this space, which is brimming with young men and women dressed in all colours of the rainbow (though, fittingly, pink is the overwhelming choice). Indeed, I feel comparatively corporate next to pink wigs, hands clutching squat cans of craft beer and effusive chatter about Ms X who went to the Slade and Mr Y who you simply must meet. 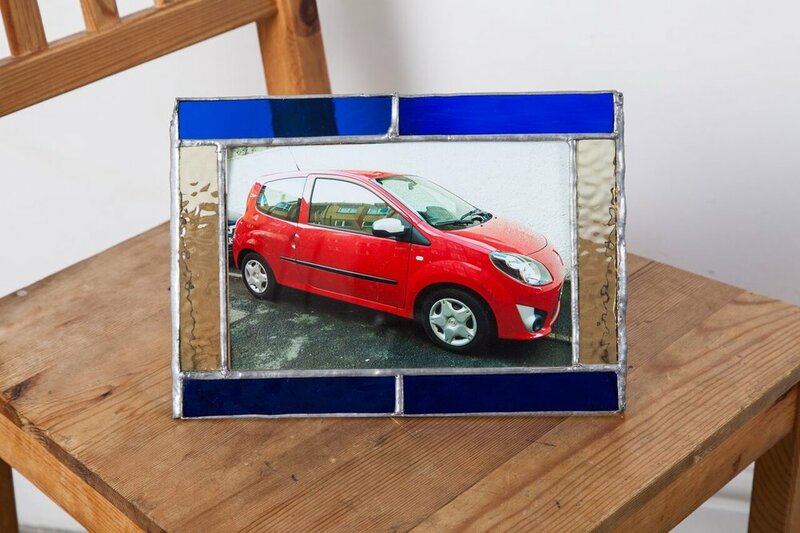 Things get off to a tepid start in the ground floor room: there's a photograph of a red car in a stain-glass frame on a chair. It feels lazy to resort to the ‘I could have done that’ line of argument against a piece’s mediocrity, but this work is so unremarkable that genuinely anyone could have snapped the photo with their phone whilst walking along a residential street, then stuck it in a coloured frame and called it art. Similarly, Hetty Douglas’s spray-painted canvas – which also features in the room – is about as rewarding as her views on the working class. Fortunately, the first floor warms up to offer something more intriguing. A large, octagonal resin-filled sculpture by Laurence Greenberg stands in the centre of one room, and is a fascinating construction: cigarettes, drink cans and jewellery are suspended inside the transparent hardened gloop, lit by bulbs underneath which Greenberg has cleverly (and inexplicably) hooked up to the piece. Apart from the Pink Panther ashtray glued to the top of the sculpture, I’m not quite sure how it relates to the theme – but it's certainly impressive. Down the corridor, Evangeline Ling uses sparse, colourful strokes of oil paint to render the panther in a delicate framed piece on the wall; in another room, Liam Scully shows off his draughtsmanship in an amusing, childlike series of pencil sketches on paper (amongst which a highlight is the scrawled phrase, ‘Watching Pink Panther whilst on hold to HMRC’). These are the works fulfilling the show’s promise, and make the trip to the gallery worthwhile. Overall, however, the theme of the show feels limiting. Pieces range from focusing almost entirely on depicting the Pink Panther himself, to shoehorning a contrived reference into a piece, to appearing to have no connection to the theme whatsoever. Possibly the most interesting aspect of the exhibition is the decision not to include a passage of explanatory text next to each piece: every work hangs or sits in isolation, and it is only by consulting a piece of paper provided at the gallery entrance that one can determine who has created it. Certainly, this is refreshing in a world pervaded by preconceptions about artist prestige. Missing the mark but still containing some aesthetically interesting works, The Pink Panther Show is a conglomerate of mediums and meanings … you just might have to be an art student to fully “appreciate it”. Installation shot of The Pink Panther Show 2018 at Gallery 46. Catch The Pink Panther Show at Gallery 46 until 28th Feb. Find out more here.